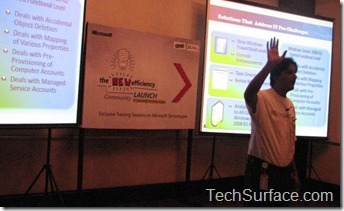 After Jaipur, Delhi, Hyderabad Microsoft Community Techdays – The New Efficiency Launch has been arrived to Mumbai on 26th Jan @Mayfair Banquet, Worli. 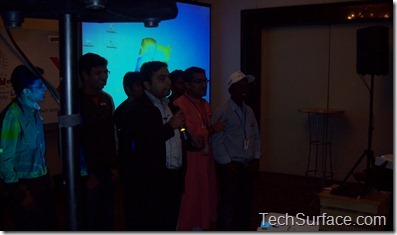 This event was more powerful and interesting as compared to previous Tech-ed on the road event. 26th Jan, the Republic Day of India. The people were requested to put Indian Flag Badge. The Event Started with Indian National Anthem song. The house was packed with more then 150 audience offline and Approx 445 (as per sources) were watching online Live on Community techdays Website. Starting with the Keynote by Ashwin U. Kini ( President- MumbaiITPro ) followed by a Technical Panel discussion with the well known IT Industry experts viz. Rakesh Mohan Goyal, M D Agrawal, Sanjay Shetty. 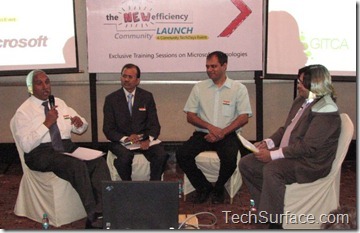 The Panel Discussion was based on “ Whats store for IT in 2010”. Various topics like cloud computing, mobile technology, etc. were discussed.It was knowledgeable ,an interesting Discussion session. After a short tea session, back to back tech session conducted describing various Microsoft Technology including “ Exchange Server – by Dinesh Kursijia “, “System Center Oveview –by Aviraj Ajgekar”,”Forefont TMG by Juned Ansari”. 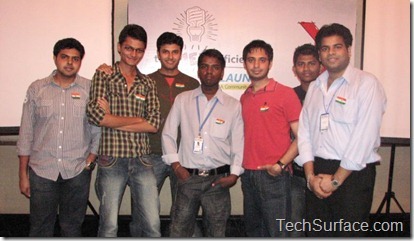 Now it was the time for the most interesting part of the Event, where really MumbaiITPro rock. It was time for Un-conference session. Within approx 40 mins, 4 back to back demo shoots sessions were conducted by the volunteers of MumbaiITPro. The Event End with Quiz, prize distribution and lots of fun. And also Hari Maurya i.e Me, featured as Blogger of the month. 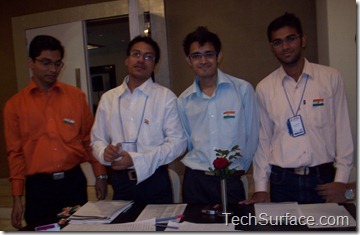 I would like Thanks to everyone including TechSurface reader for their support. Overall the event was well-attended and received positive response. Volunteers efforts were appreciable. It was a great experience. I missed this 1.. .. btw where u got featured as blogger of d month ?